Mandy Brown is a friend to MoveToTacoma.com and the newest addition to the New Creations Wedding Design and Coordination team. She is not new to wedding and event planning, however. Mandy has spent the last few years as a Catering Manager and Event Coordinator in Seattle for private clubs and a hospital. After moving to North Tacoma, Mandy and her husband have fallen in love with Tacoma, and she is bringing her excitement for event planning to the South Sound! Thank you for sharing your expertise with us, Mandy! 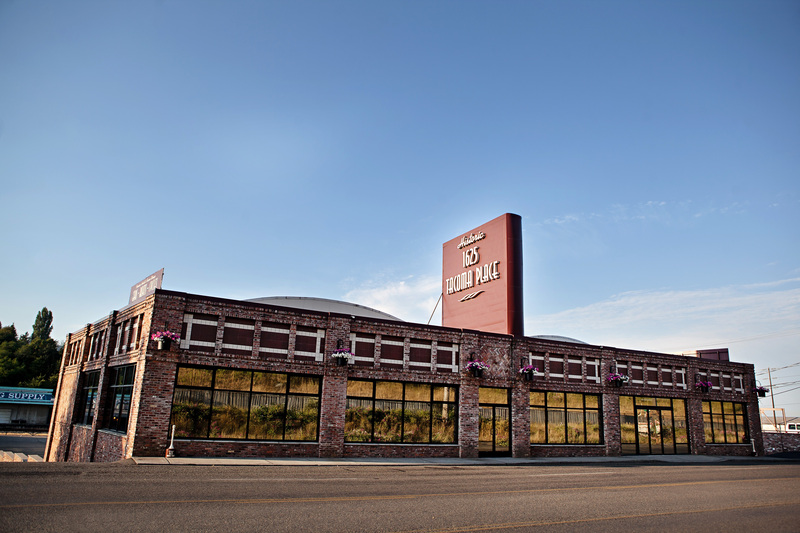 Tacoma has a lot to offer when it comes to weddings and events: reasonable prices, a wonderful city, water and mountain views, and of course the major advantage of our smaller town… and PARKING! I have been visiting venues in Tacoma and the South Sound over the past few months, and I have to say, this planner is pretty impressed. So, when Marguerite asked me if I would be willing to talk about some venues in Tacoma, I of course wanted to take the opportunity to brag about how awesome I think we are! 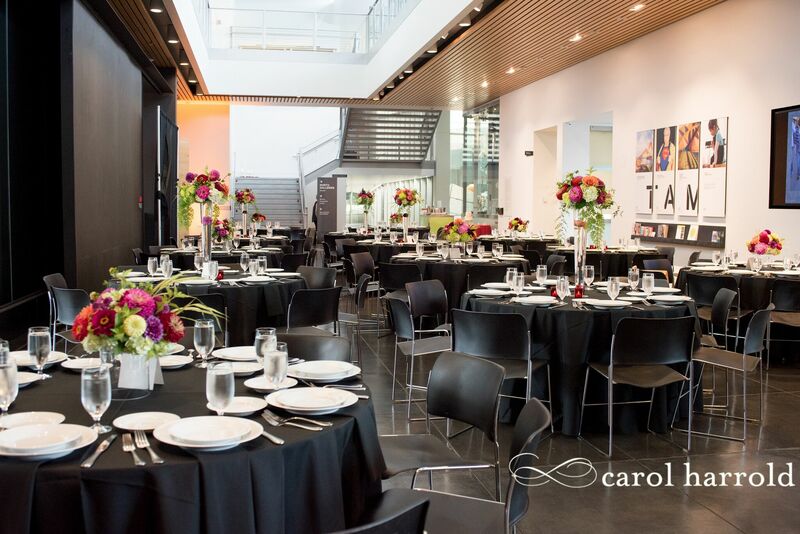 And the best part about the 5 selected venues is that they work well for any kind of event… wedding, holiday party, fundraiser, anniversary party, you name it! What is especially unique about this venue? Mandy: This space is incredible! 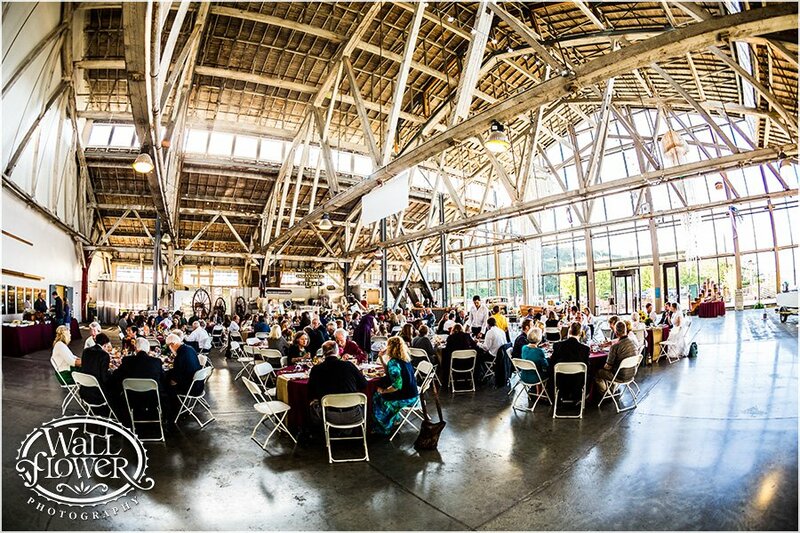 It’s large enough to hold over 300 guests, but doesn’t feel too big if your event has 150. The museum has been doing historic renovations on the space for a few years and they have done a wonderful job at maintaining the older feel while making essential updates. The wall of windows when you first enter the space is beautiful all on its own, and as the sun sets, it welcomes amazing light into the space. You are directly on the waterway, and on a clear day can see Mount Rainier in all her glory. A perk of being on the water is the option of a boat or seaplane pulling up to their dock. And, if you are able to get the permit, a full fireworks show! There is an industrial feel with rustic touches from the trusses. With the open space and glass windows for days, it really lends itself to go in many directions for décor as well as functionality. What does this venue already feature, and what would someone need to bring in (outside of décor and personal items)? Mandy: Included in the venue fee are twenty-one 60” round tables, nine 6’ banquet tables, 9 cocktail tables, 168 blue conference-style chairs, and a heritage boat as a “gift table.” You will need to rent linens, and depending on the size of your event, you may need to rent additional tables and chairs. You are welcome to bring in a licensed caterer of your choosing and can rent any additional items. What design ideas do you have for this venue? Mandy: I love a mix of an industrial space with soft, romantic décor. For this space, I created the Rough Luxe look, using lots of greenery with garlands and bringing in live trees, wood tone accents… add in some soft lounge seating near the bar and lighting… lots and lots of lighting! 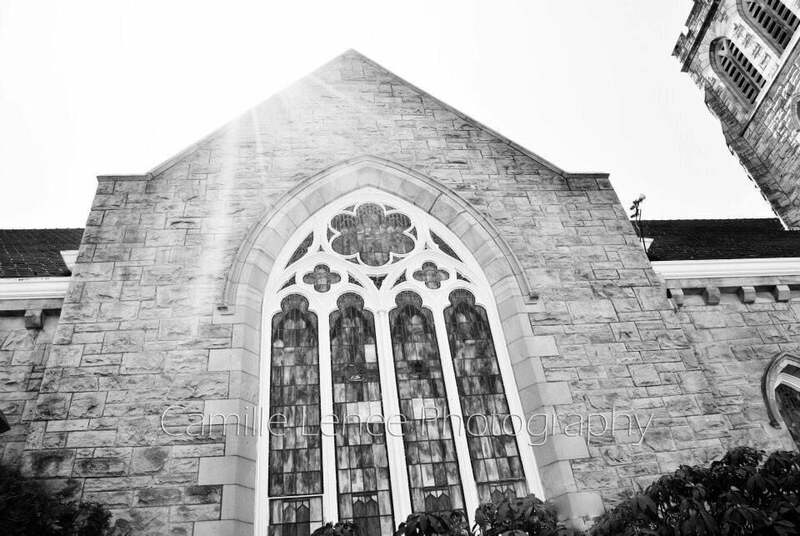 Mandy: Are you having an internal struggle of wanting your ceremony and reception at the same location, while thinking it would be nice to have your ceremony in a church? 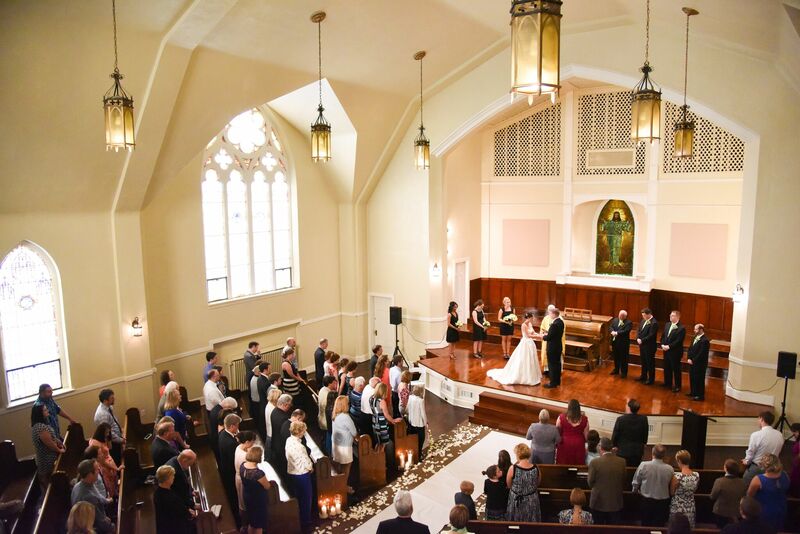 This stunning historic church in the heart of the 6th Ave District has you covered and has thought of everything, down to the rooms to get ready in and the adorable courtyard located in the center of the building. Neutral tones and a slight mid-century modern feel in the cocktail lounge allow you to really play with the space and add your personal touch to it. The string lights in the courtyard and reception space are permanent pieces that add a fun touch. I also give the venue props for their very informative and helpful website—check out that video/online tour! 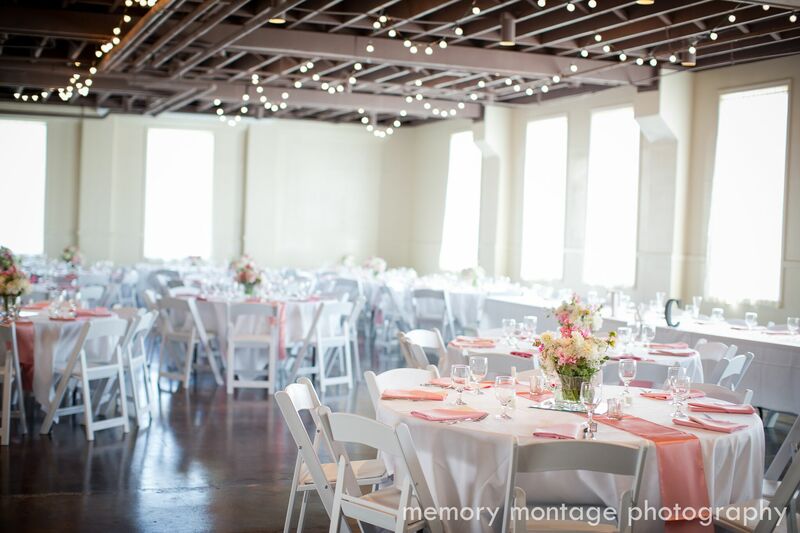 Mandy: In addition to the church setup and the cocktail lounge furniture, the venue fee provides sixteen 60” round tables, five 6’ banquet tables, 3 cocktail tables and 160 white resin folding chairs. They have a list of licensed caterers to choose from, although you do have the option of opting for a different one for an additional fee. 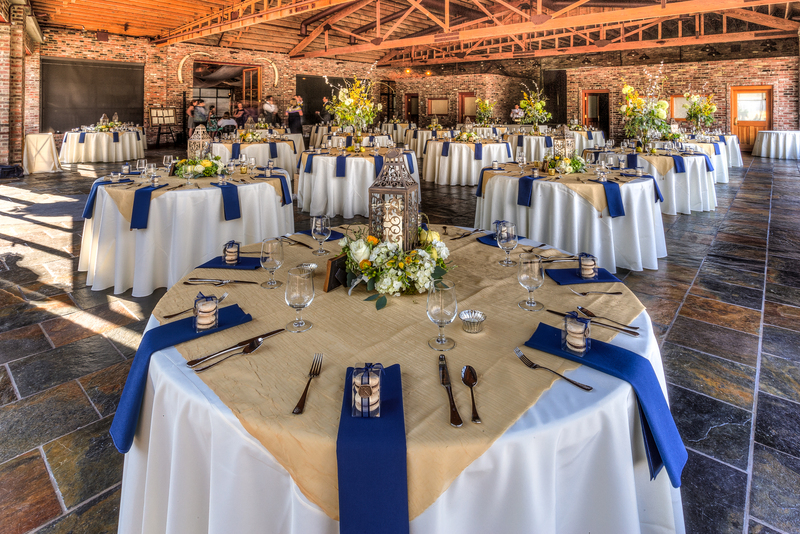 You will need to rent linens and if you have more than 160 guests you will need to rent additional tables and chairs. Mandy: I wanted to have fun with this one, bring in a lot of color and play on the mid-century modern feel that is already present. Enter Mid-Mod! 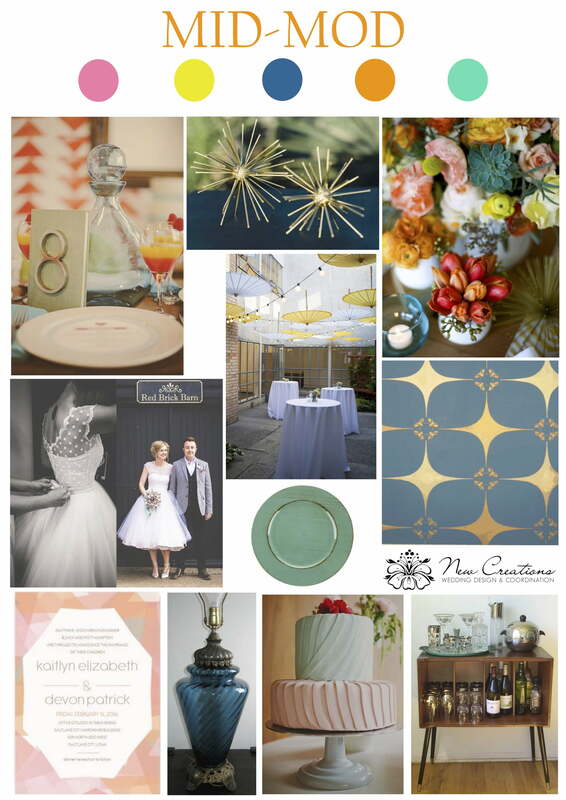 Bright, bold colors, geometric patterns and a mixture of florals with vintage finds. And who could pass up setting up a bar-cart style beverage station and renting glassware to go along with it? Ask guests to play along with the theme with their attire to add to the overall décor and feel of the event. 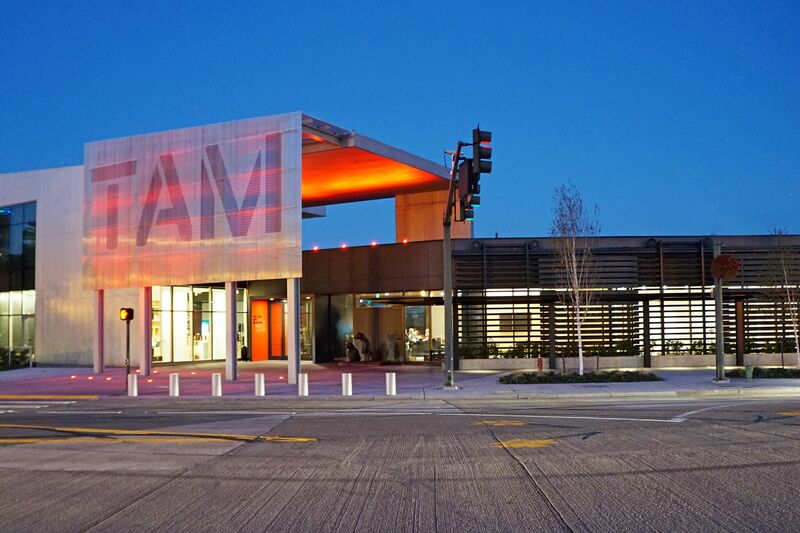 Mandy: Right off of Pacific Avenue in Downtown Tacoma, the museum has a modern feel to it with clean lines and an incredible collection of artwork that your guests have the option of viewing during the event. Upstairs in the atrium is a small outdoor patio and a view of the city and mountains. What I love about this venue is the flexibility of their spaces. 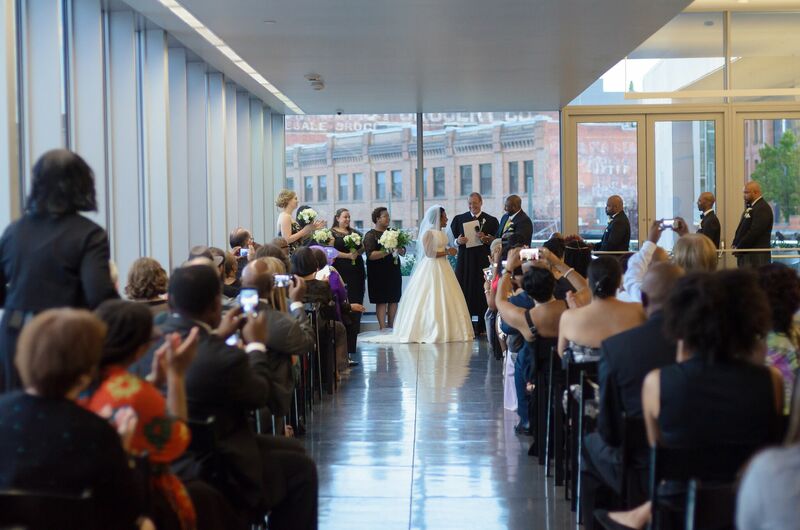 From a meeting to a stand up cocktail reception, or an elegant wedding turned dance party, the museum and their team have you covered. And, if you are like me, include their giant cardboard dog Leroy into the fun! If your event has children attending, you have the option of adding on the TAM Studio to keep them entertained. Mandy: This venue has a lot included with the venue fee: two different sets of chairs, thirteen 60″ round tables, twelve 77’’ banquet tables, cocktail tables, lounge furniture, coat room, free wifi access and much more. The venue offers A/V services with an additional fee and linens need to be rented. The museum has an in-house caterer, although you can bring in your own if you prefer. Mandy: When visiting the space, I found the clean lines and black floors stunning on their own; I wouldn’t want to hide them. With the Masculine Modern look, precision in the setup is key. Consider long Lucite table tops for family style tables, adding minimal décor with tall fern arrangements and pops of bright orange poppies. Gold accents in the cocktail linens, flatware, and paper goods bring an elegance to the table. Another part of this is giving full reign to the cake designer to use the vision of Masculine Modern, and create something that becomes a work of art itself. 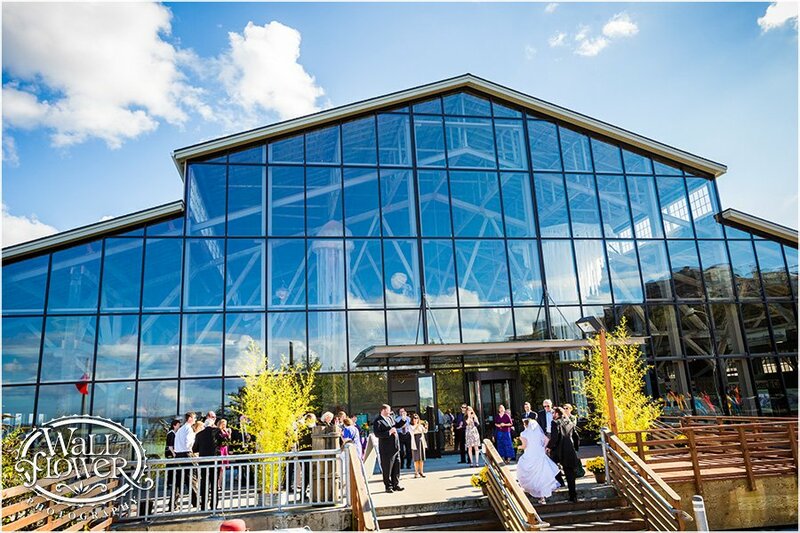 Mandy: To have the option of indoor or outdoor for any part of your event is already nice, but then add in the fact that you are in Downtown Tacoma on the waterway with a view and incredible glass artwork surrounding you, your guests are going to feel so spoiled. In addition to the large indoor and outdoor spaces, the museum can also accommodate board meetings, luncheons, and even has theatre space for lectures and large presentations. 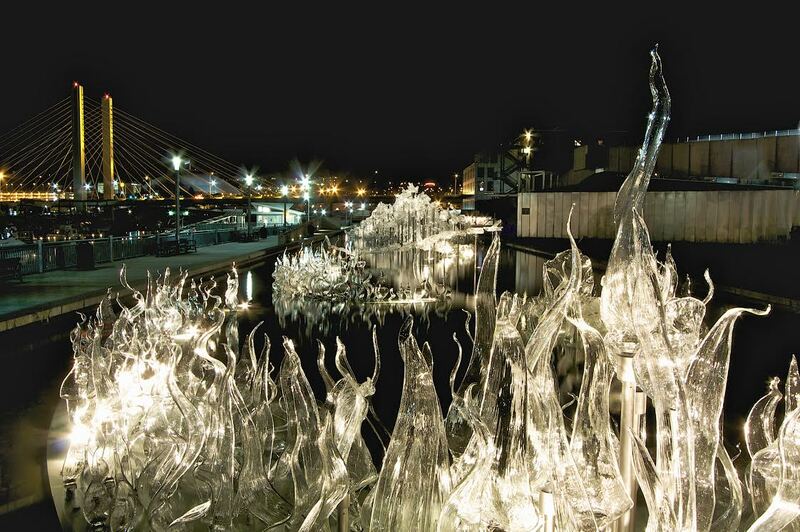 With muted tones and the focal point of the Hot Shop cone, guests can wander the galleries during a reception (my favorite is the blown glass inspired by kids drawings), enjoy an interactive glassblowing demonstration or sit along the reflecting pool and look at the marina. Mandy: Chairs and tables for up to 200 guests are included in your venue fee. You also have access to the museum’s in-house caterer X-Group Catering (who also own Asado, Choripan by Asado, Engine House No. 9, the new Pine Room and The Valley). You will need to rent linens, as well as additional tables and chairs if your guest count is above 200. Mandy: I was really inspired by the Hot Shop Cone. I love the grey shimmer it provides and the neutral colors that surround it. 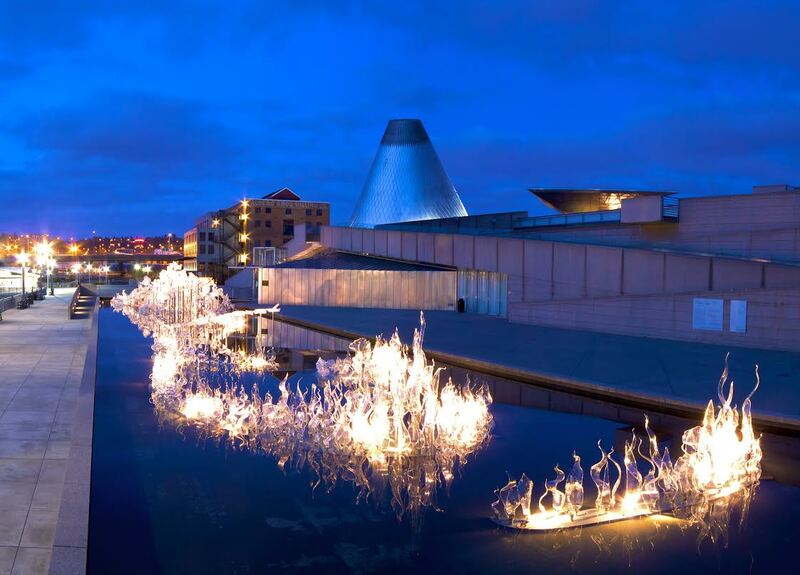 I also love the glass piece in the reflecting pool that illuminates as it gets darker in the evening. Wanting to play off of these elements, I created Muted Glass. 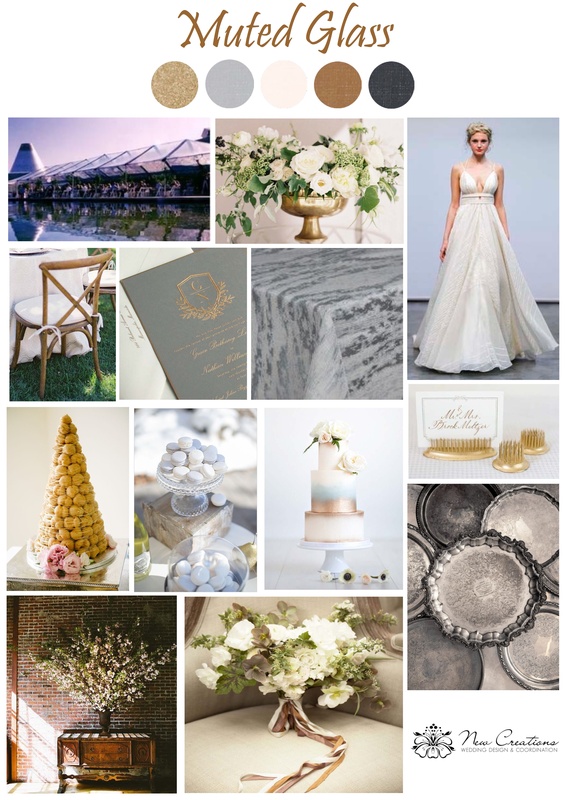 Under a clear tent to see view the city and stars at night, this look mixes different metals, grey-patterned linens, and soft, organic, garden-looking centerpieces with creamy whites and ivory flowers. I envision guests coming inside for dancing and having a dessert display of cake, croquembouche and pale colored French macarons set up against the Hot Shop Cone. Mandy: Located on a relatively quiet street on the evenings and weekends, this venue’s charm comes from its past life as a Cadillac dealership. To add to its auto history, on the lower level you will find the venue’s collection of historic cars. 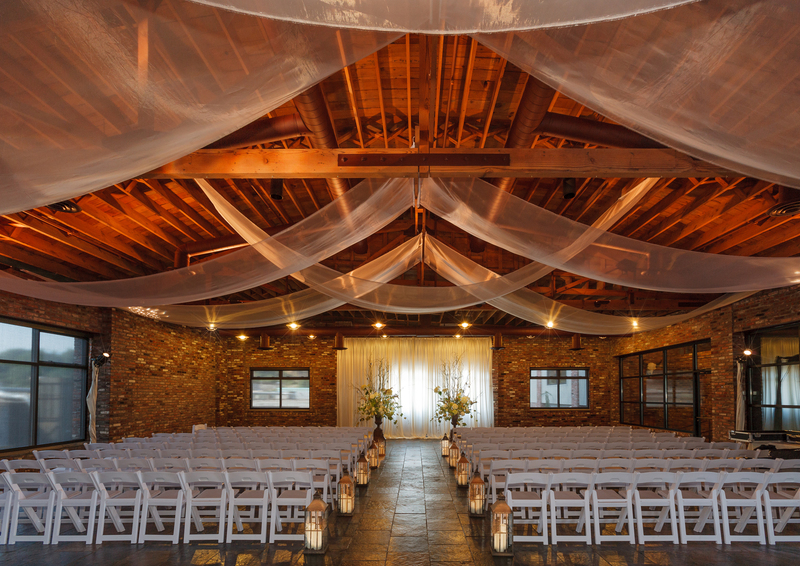 This venue boasts beautiful wood barrel-vaulted ceilings, warm red brick walls and slate floors that can hold over 300 guests. With two rooms separated by large glass windows and doors, this space offers a lot of options. 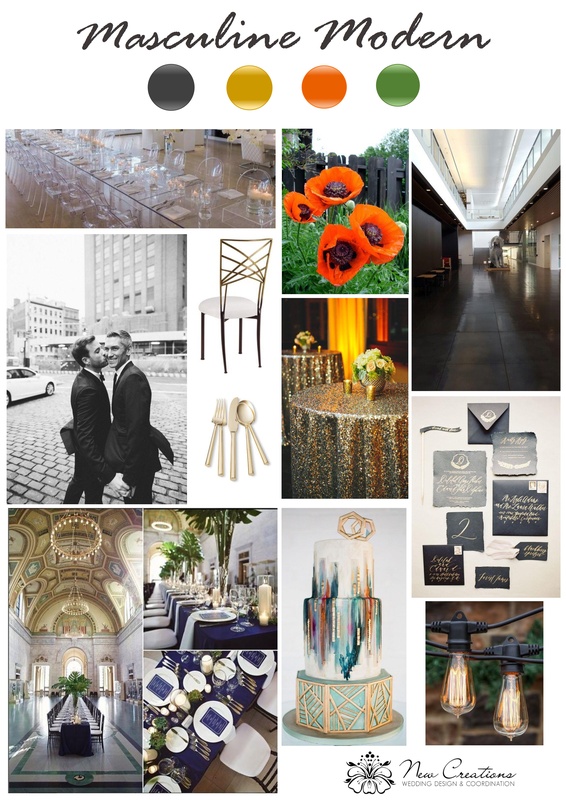 Looking for a ceremony and reception space for 350 guests? Want a silent auction and cocktail hour in one room, and dinner with live auction in another? Done! Oh, and let’s not forget one massive perk to this venue… FREE parking! Mandy: Round tables, chairs and banquet tables for up to 200 guests, including setup and tear down, two changing rooms and access of choosing between five different caterers. You will need rent linens and additional tables and chairs if your guest count is above 200. Mandy: I love the deep rich tones of the bricks and slate floor at this venue, and wanted to add in some blues and purples to play off of them with a touch of sparkle. 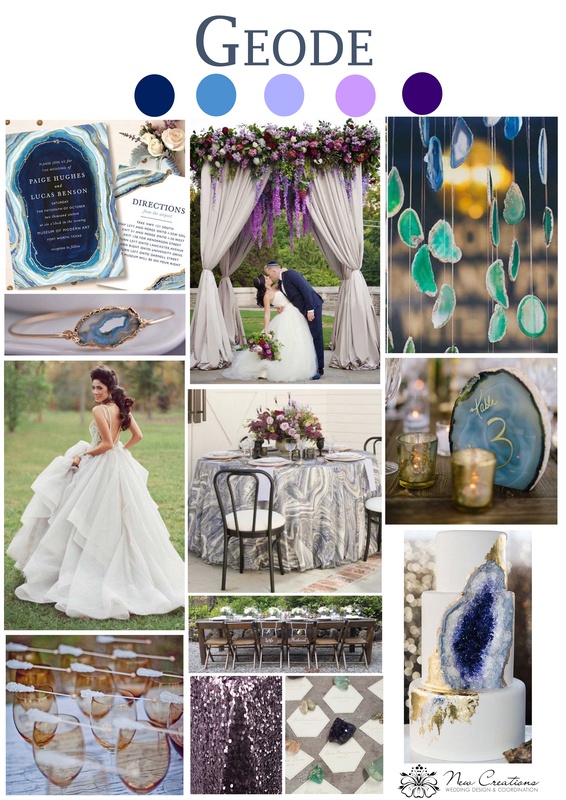 The marbled and shimmery look of Geode would really play well with the space, bringing in wood chairs to mimic the vaulted ceilings and hanging geode slices in the ceremony arbor that would transition to housing the cake later in the evening. To add to the fun, rock candy in drinks or as favors will bring out the playful side of your guests. 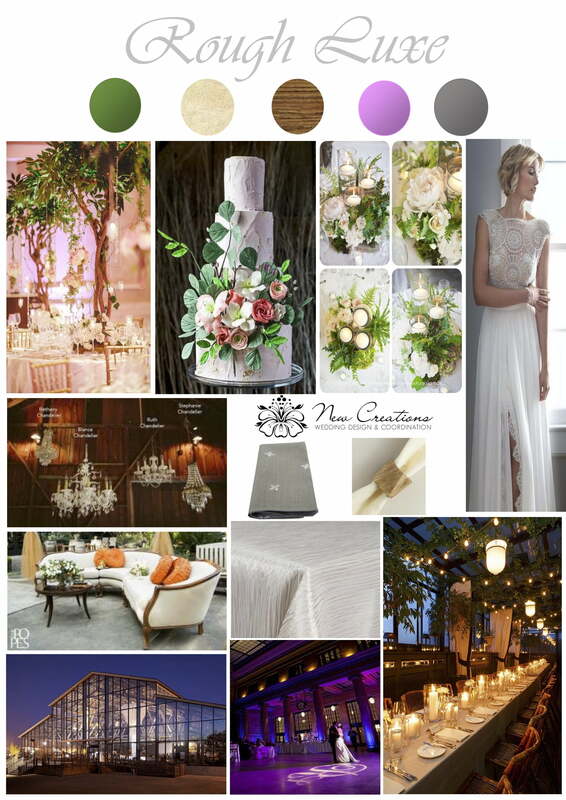 Check out New Creations Wedding Design and Coordination and reach out to Mandy Brown for help with your upcoming wedding or event! 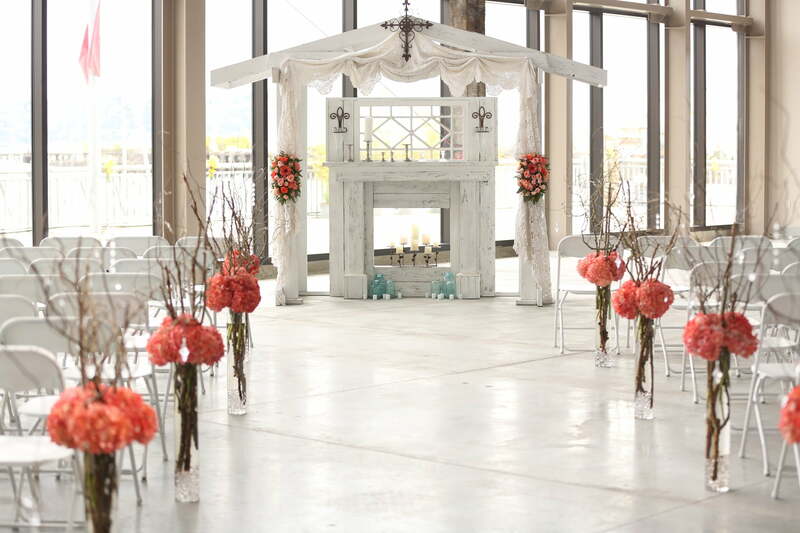 You can contact them via info@newcreationsweddings.com or give them a call at (206) 491-0608.